Firkins Mitsubishi is proud to serve the Bradenton area with quality new Mitsubishi vehicles. With models like the Mirage, Mirage G4, Eclipse Cross, Outlander, Outlander PHEV, and Outlander Sport, we have something for every taste and need. If you’re looking for a used car in the Bradenton region, we can assist you there as well. Visit our pre-owned inventory page to see our large collection of pre-owned vehicles. Firkins Mitsubishi is not just your greater Bradenton Mitsubishi dealership, we also provide a full line of services dedicated to all of our Florida customers. 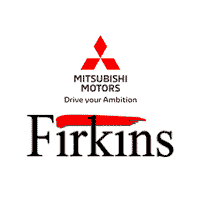 From Mitsubishi car repairs performed by expert mechanics, to OEM Mitsubishi auto parts, to car loans, Firkins Mitsubishi is the smart choice for your automotive needs. We also offer a full-service collision center where we will get your car or SUV back on the road and looking like new. We proudly serve Sarasota, St. Petersburg and the rest of the Tampa Bay area!